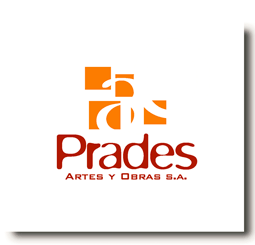 PRADES ARTES Y OBRAS S.A., is a national construction company successfully delivering projects across Spain. Founded In 2011, comprising people with extensive professional experience in multidisciplinary fields of construction, rehabilitation, residential and industrial construction and civil works. Our business has grown and diversified significantly over the years, with our experience in design and construction, equipment and civil works. We have achieved a preferential position in the market through an absolute commitment to improve the quality of our product and our service. In Prades, we have acquired the commitment to challenge us to constantly improve our service and our processes in order to provide a competitive advantage to our customers – people who really make our business move-. This commitment means to strive to understand the needs and priorities of our customers and maintain an open and honest dialogue with them, not only during the design stage and delivery, but after their completion. With this, we want to ensure that you feel completely supported by a committed team, and get a deeper understanding of how best to serve them. Trying to find advantages for our customers, we find them for ourselves. This commitment also ensures that our solutions are planned and delivered competitively through a well managed design and acquisition process and a secure, reliable and proven supply chain. This commitment keeps the objectives, budgets and deadlines is firmly on track and allows us to offer plans that are a lasting asset for our clients and their businesses. We want to have a successful business and we want to do it the right way. We set high standards for ourselves and the people we work with. We employ talented people and develop their potential to improve their skills and knowledge. We act collectively as a team, giving everyone a voice and a rewarding career. We want to make continuous improvements in all areas of our business. This means acting responsibly with respect to health and safety, the environment and the communities in which we operate. We act with integrity and professionalism and have a “first time” culture. We focus on the needs of our clients and aim to ensure that each project is completed on time, in budget, free of any defects, safely and delivered to an enchanted client. Many of our clients come back to us again, and again, because they say PRADES is different. We give them a positive experience of the construction process. We believe this depends on our people. It is not only because we are expert and knowledgeable, but also open and enthusiastic. We value each other and make sure our people receive the professional development and appreciation that they all deserve because they are critical to our success. We employ talented people and encourage them to pursue their career ambitions. We believe in teamwork, and we are always open to new ideas and new initiatives because improving our way of doing things is our priority. There is a unique culture in PRADES that stems from our open and informal style of management. We are a dynamic, respectful and supportive team. We use the knowledge and skills of a fully integrated local supply chain that includes subcontractors, suppliers and consultants. We share our experiences, initiatives and lessons learned from all our collaborative partnerships. We are committed to helping the communities in which we work through opportunities for tendering, training, employment and environmental initiatives.